There has been quite a bit of media coverage about the WannaCrypt/WannaCry ransomware over the past several days. Microsoft has a new page with information about this particular issue and steps that can be taken to protect your systems. 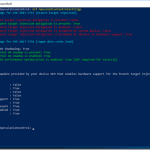 I have also collected some more detailed background information about this and about SQL Server security patching in general. Just to be clear, there is no known threat to SQL Server from this method, but there was an out of band security update for SQL Server 2012, 2014, and 2016 that was released on November 8, 2016. Here are the most current cumulative updates for SQL Server 2012, 2014, and 2016 (which will include that security update). Here are some links to useful resources about this outbreak. Making sure your servers and client machines are current with their Microsoft Update hotfixes and possibly disabling SMB v1 are the best defenses. Another mitigation measure for this vulnerability is to disable Server Message Block (SMB) v1 (which has been deprecated since Windows Server 2012). Depending on what version of Windows Server you are running, you may be able to do this using various methods. 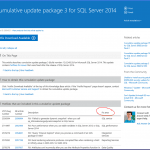 Microsoft now recommends proactively installing SQL Server Cumulative Updates as they become available. The most recent, specific security update (MS16-136) for SQL Server 2012, 2014, and 2016 was released on November 8, 2016. If you are up to date with your SQL Server Service Packs and Cumulative Updates, you will already have that SQL Server security update. Just to be clear, there is no indication that SQL Server is vulnerable to WannaCry. It is merely a best practice to stay current with SQL Server security and other updates. Thank you so much to put the information and prevention about the WannaCry thread together! Especially, the SQL Incremental Servicing Model from Microsoft makes me feel eased to update the CUs on our SQL Servers. Not sure if you had noticed but this KB https://support.microsoft.com/en-us/help/3045321 shows up in some of the new CU’s even though it is a reference to MS15-058 under Reporting Services.